On the way to Vision Zero: Safety and electromobility are ZF’s focus at this year’s IAA. The stand shows the new corporate design. Unterwegs zur Vision Zero: Die Themen Sicherheit und Elektromobilität prägen den Messeauftritt von ZF auf der diesjährigen IAA. Der Stand präsentiert sich im neuen Corporate Design. Frankfurt a. M./Friedrichshafen. 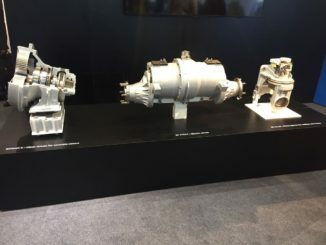 Around two and a half years after the takeover of TRW Automotive in May 2015 and well ahead of schedule, ZF Friedrichshafen AG has largely completed the integration of the US Company. Reinforced by its new claim “see. think. act.”, ZF now offers a broad portfolio of intelligent mechanical systems which can address the challenges of future trends including digitalization, electromobility and autonomous driving. 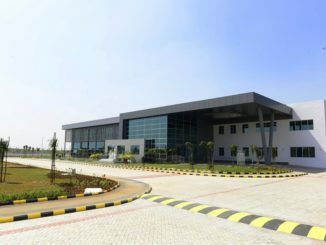 In line with its ‘Best of Both’ approach, ZF identified synergies between the two organizations to create competitive structures as one united organization. 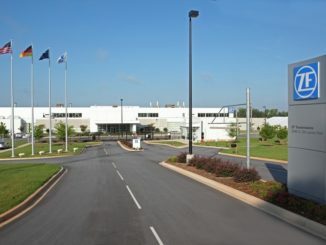 ZF Aftermarket has successfully been operating as a combined organization since January 2017. At the same time, ZF has significantly boosted profits and is be able to repay the acquisition debt earlier than planned. The company expects sales this year to exceed EUR 36 billion. As a visual expression of the near-complete integration, ZF is unveiling a new corporate design at IAA. Going forward, all divisions will be represented consistently under the ZF name. In order to realize Vision Zero – a future of mobility with zero accidents and zero emissions – ZF continues to expand its portfolio of innovative technologies in the areas of driveline, chassis and safety technology. As well as its in-house development work, the company has also set up a Vision Zero Ecosystem, a growing network of highly specialized partners. 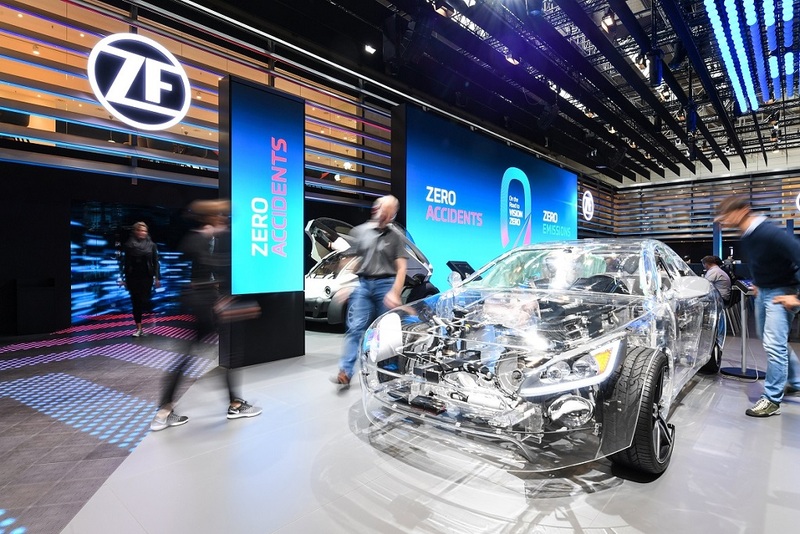 At its booth F20 in Hall 8, as well as demonstrating its Vision Zero Vehicle at the New Mobility World parcours, ZF is demonstrating how its intelligent mechanical systems are contributing toward Vision Zero today. Examples are the modular mSTARS rear axle system that enables conventional vehicle platforms to be converted to electric, plus advanced driver assist systems that can detect driver distraction or potential wrong-way driving.